Declutter your brain by writing down all your to-do's on one single piece of paper. This is all you need in order to get organized. Just download the PDF file via the 'Free download' button above, print at home and write down all the chores and things you still have to do in and around the house. Looking for a brighter and more colorful action plan? 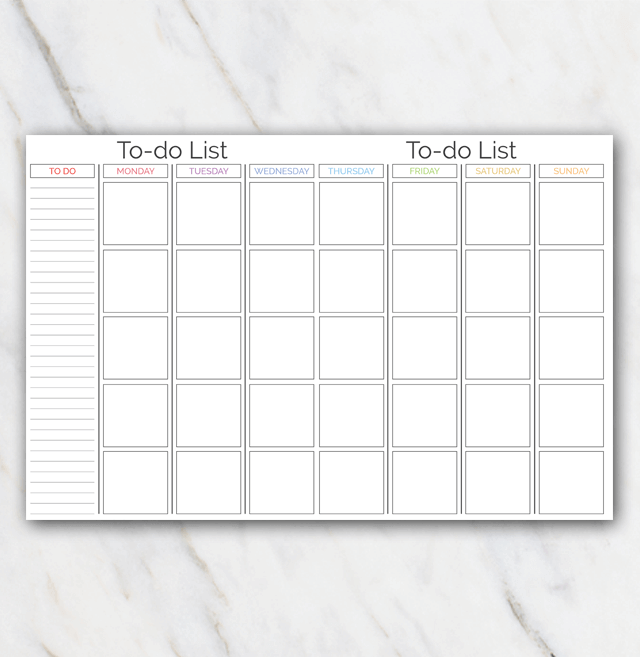 Have a look at the overview page with all other printable action plans.